Costs for Small MW-Scale Grid Connected Power Plants in India – LCOE and Optimal Tariff? Quality of India’s Solar Installations Compromised in the Race to Low Tariffs? Indian Banks and their Lending for the Solar Sector? Choosing the Right EPC for MW Scale Solar Power Plants? 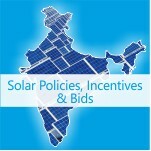 Business Models for MW Solar Power Plants in India? Timelines of a MW Solar Project Installation in India? Getting a Power Purchase Agreement (PPA) for Solar Power Plants in India? A definitive guide on policies, business models and costs of MW-scale solar power plant installation. Solar Asset Management – An Introduction – and a North American Event for the Same!